Closed for more than three years, Sunflower’s Valencia Street space is finally back. A walk by the restaurant Friday night found 506 Valencia’s Street’s neon sign lit once again and the Vietnamese restaurant full of customers. One of the servers told me the restaurant reopened more than a week ago. Sunflower shut its doors in September 2014 with no explanation, leading many to wonder whether that was it for the restaurant, a neighborhood favorite for cheap, good Vietnamese food. A few months later, ‘Pan Asia’ was added to the Valencia Street sign and the tinier, adjoining portion of the restaurant, which has its entrance on 16th Street, reopened about a year later. 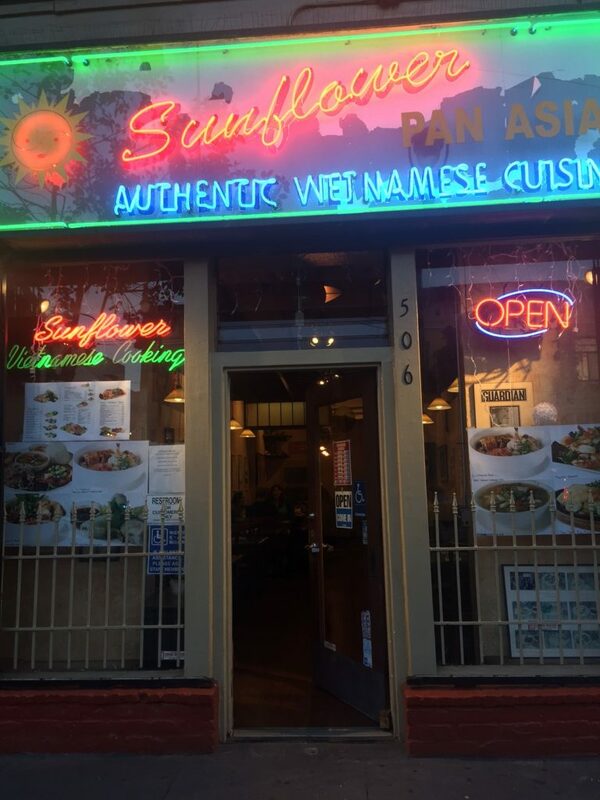 This entry was posted in news, restaurants and tagged in sunflower, valencia street, vietnamese.